National Burger Day is happening monday! Celebrate and enjoy a burger at B.GOOD, all made from fresh and locally sourced ingredients. If you’ve never been before, B.GOOD is a fast-casual chain that serves wholesome, nutritious food including salad bowls, smoothies and of course burgers. There’s something for everyone as you can choose from their all-natural beef, turkey, veggie or chicken burgers. They also have a wide variety of delicious topping combinations including veggie, spicy and protein packed options. My favourite was their protein packed turkey burger with Power Play toppings: local bacon, local cheddar, avocado and local egg. For those who like spicy, the El Guapo option has a nice kick with bacon, homemade jalapeno slaw and jalapeno ranch sauce. 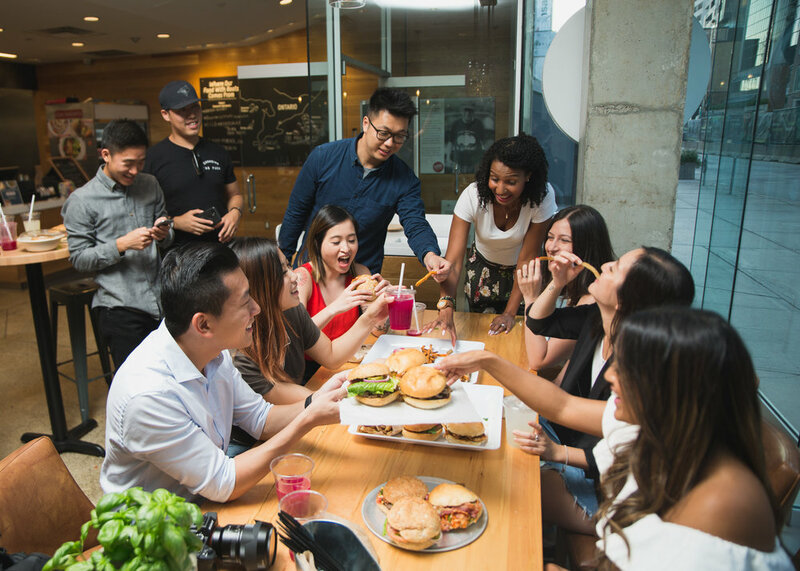 Make B.GOOD your burger destination tomorrow at one of their 5 Canadian locations, including 4 across Toronto and 1 in Oakville. Also, make sure you try their Beet Ginger Lemonade!